UPDATED: Wed., April 26, 2017, 3:09 p.m. Even as the Trump administration jousts with Canada over its latest trade dispute, it might want to keep a closer eye on Mexico, America’s No. 1 dairy importer. Its southern neighbor, which figures prominently in the U.S. government’s crime and immigration rhetoric, spent almost twice as much money as Canada did on U.S. dairy in 2016. That’s $1.2 billion. In the first two months of 2017, Mexico increased its imports of skim milk powder from the European Union by 122 percent over last year, according to the EU Milk Market Observatory. Mexico has also been exploring talks with dairy powerhouse New Zealand. While most Americans probably aren’t looking for skim milk powder at the supermarket, it’s a major export product, along with nonfat dry milk, because it has low moisture content and a longer shelf life. These products are “the barometer for what’s going on in world markets,” said Ben Laine, an economist at CoBank Acb. The U.S. Dairy Export Council, currently led by Obama-era Secretary of Agriculture Tom Vilsack, is stressing the importance of U.S. dairy to Mexico. For now, those relationships seem to be holding: Exports of skim milk powder and nonfat dry milk powder to Mexico were up 14 percent in January and February from the same period a year earlier. In that time, the U.S. sent about 45,000 tons to Mexico. 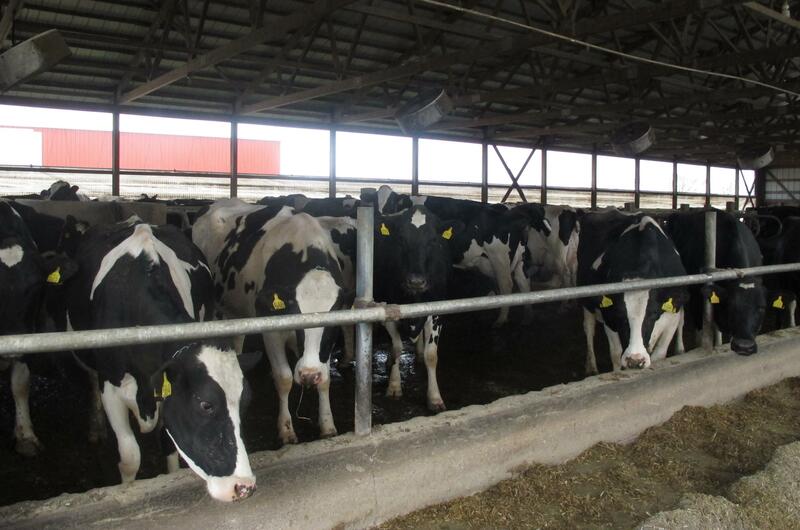 More than 70 percent of Mexico’s dairy imports come from America. In total, the U.S. exports about 15 percent of its dairy production. Published: April 26, 2017, 7:58 a.m. Updated: April 26, 2017, 3:09 p.m.